Navy t-shirt with full-color screened imprint. Made of preshrunk 100% cotton. MV Sport - imported. 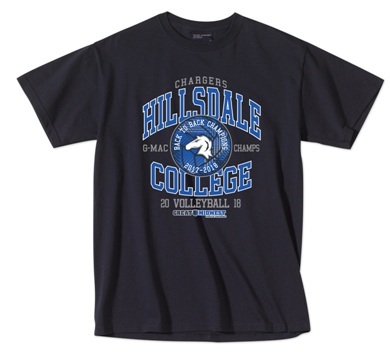 Please select option for T- SHIRT - NAVY VOLLEYBALL CHAMPIONSHIP.